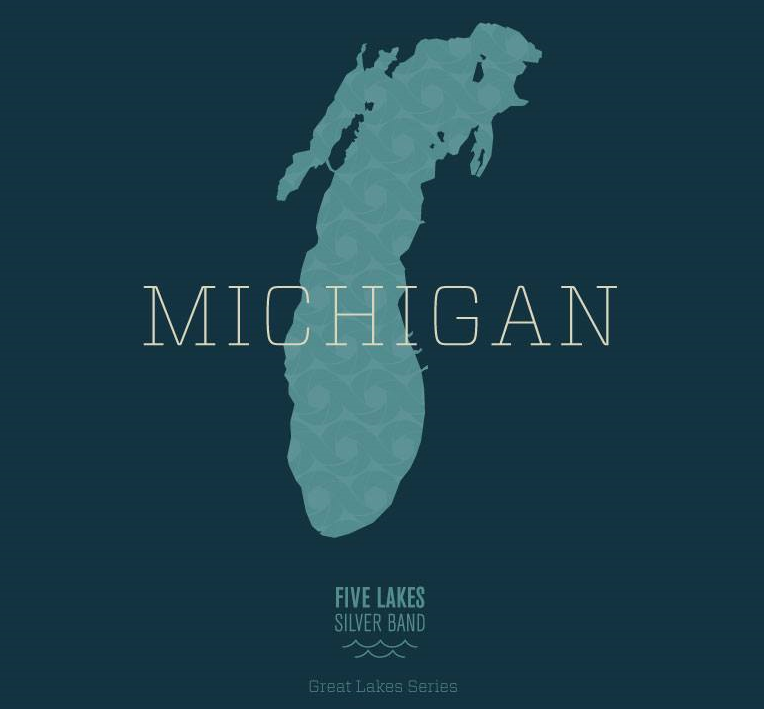 Michigan is the third compact disc in the Great Lakes Series. Price includes shipping. The 2013-2014 musical season has been a great one for the Five Lakes Silver Band. We had the pleasure of delivering many stirring concerts throughout souteastern Michigan, including a particularly memorable collaboration with a very talented guest soloist - pipe organist and radio personaly Dr. Dave Wagner. On the contesting scene, the band advanced to the Championship Level at the annual North American Brass Band Association contest - held this year in Grand Rapids, Michigan. During that contest weekend, several of the band's members were recognized with awards for their solo and ensembles performances. To mark this season, we have decided to record another collection of favorite selections performed by the band during the course of the year. We are delighted to be able to include one of the tunes we performed with Dave Wagner on our February 2014 concert, this time with Dave playing on the beautiful Pilzecker & Co. Organ at the Cathedral of St. Paul in Detroit. 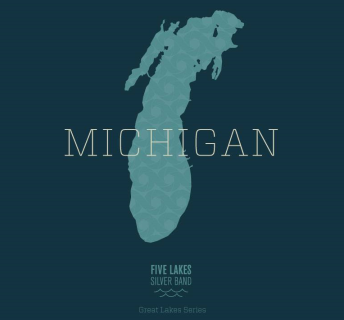 This new CD, entitled Michigan, is the 3rd album in our Great Lakes Series of recordings. We hope listening to this album can convey how much we enjoyed putting it together. Once again, the staff at the Cathedral Church of St. Paul on Woodward Avenue in Detroit, Michigan was extremely generous to the band. The folks at St. Paul made their beautiful and acoustically grand church and pipe organ availalble for the entire set of recording sessions. Thanks much to our friends at St. Paul! Additionally, we would like to thank the folks at the Salvation Army Citadel of Royal Oak, Michigan for their support. The Salvation Army Citadel has been our home for rehearsals and for many of our concerts during the season. We appreciate their liberal hospitality and support!